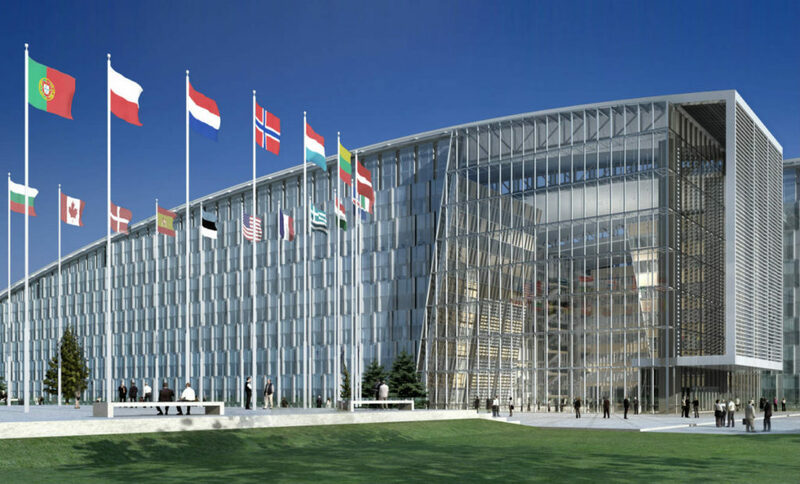 The new NATO Headquarters on Boulevard Leopold III, 1110 Brussels. There’s a great deal going on in the world right now. The implications are quite profound for almost all countries. Next week, President Trump will be attending the NATO summit in Brussels. The 70th anniversary of the alliance is coming up. After seven decades of working together to maintain the peace of the western world, the 29-nation military grouping is facing its biggest challenge yet: President Trump. The US president is adamant that European countries need to contribute more, a justifiable demand on the part of the US Administration. But, perhaps a greater challenge is growing indifference to the alliance in the US as increasing numbers of people turn isolationist. Americans are focused primarily on their own problems. The collapse of NATO will quickly lead to radical change and realignments in Europe; ultimately leading to the fulfillment of Revelation 17. President Trump will be visiting the UK after the NATO summit. His “working” visit will include meetings with Prime Minister Theresa May and Queen Elizabeth. ‘Europe today is not afraid of Vladimir Putin reaching the Rhine. Europe is afraid of Africa and the Middle East reaching the Danube.” (“The Never-Trumpers are never coming back,” Pat Buchanan, 7/6). Nations are increasingly working together to keep the Muslims out. Others are still letting them in. “The U.S. and China slapped levies on $34 billion of each other’s exports, the first tangible shots in a trade battle that both sides are bracing to fight for months – if not years.” (WSJ 7/6). The British are proud of their National Health Service (NHS). Everybody in the country, at least in theory, has equal access to free health care, which costs 9.8% of GDP. Conservatives, Liberals and Socialists in the UK all support the NHS, competing with each other to promise increased funding. “In 2014, Britain spent 9.8 per cent of its GDP on healthcare, compared to the average for the EU . . . of 9.7 per cent.” (ft.com). In contrast, the US spent 17.9 % of its GDP on healthcare last year, almost twice as much per person and with no better results. A shortfall of 100,000 doctors and nurses, who can often earn more in other countries. “The NHS is drowning in bureaucracy”, a report noted in 2015. Rising costs are due to: recent medical developments that are very costly; an increasing number of elderly. 55% of all the money allocated to the NHS is spent on people over 85; foreign nationals taking advantage of the system. Can no way be found to make them pay up BEFORE receiving treatment? They can’t buy petrol at the pump without paying in advance – perhaps the petrol companies can help the NHS here? Each year, the cost of the NHS increases by 8%; but the economy only grows at a 2% rate. This means that the NHS is unsustainable. Mrs. May is promising the medical service an additional 20 billion pounds ($26.6 billion), out of the savings the country will make as a result of Brexit. This will not solve the problem long-term. REALITY CHECK: The same government that introduced the NHS started dismantling the British Empire and reducing the UK’s military power. There IS a connection. Military cuts have combined with increased medical bills over the last 70 years. If the country cannot defend itself, there will be no NHS! As I write, Theresa May, UK Prime Minister, is trying to keep her Cabinet together as she draws up Britain’s final Brexit offer. They are all meeting at Chequers, the Prime Minister’s country home not far from London. The country is due to leave the European Union in March of next year. Many members of the Cabinet are concerned she will give too much away and tie Britain to the EU for decades to come. The worst-case scenario is that Britain will become a European vassal state, constantly having to follow orders from Berlin. Can’t the country find another Winston Churchill? CANADA: “Canada’s Supreme Court has banned Christian schools and colleges from teaching Biblical values because the Bible does not support the Trudeau government’s vision of “diversity” and is therefore “harmful” to LGBT and Muslim students. Rumors have long persisted that Queen Elizabeth was not as involved as she perhaps should have been in her children’s lives, especially when they were young. In his controversial 1994 authorized biography of Prince Charles, Jonathan Dimbleby quotes the Prince of Wales saying it was “inevitably the nursery staff” who taught him to play, witnessed his first steps, and punished and rewarded him, as they are who took care of him. But Princess Anne has publicly refuted any claim that her mother was an absent parent. “I simply don’t believe there is any evidence whatsoever to suggest that she wasn’t caring. It just beggars belief,” the Princess Royal said. Indeed, Elizabeth II, who has four children, eight grandchildren, and seven great-grandchildren (including newborns Lena Tindall and little Prince Louis) once described motherhood as “the only job which matters.” (The Royal News from Town and Country, 7/6). “Gay conversion “therapies” are based on the premise that being gay, lesbian, bisexual or transgender is a mental illness that can be “cured.” But there is no evidence that they work, and the techniques are largely discredited. Members of UK professional bodies for counseling and psychotherapy are prohibited from using such techniques.” (CNN) The government believes that the therapies are harmful and have driven some to suicide.